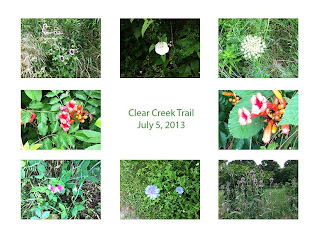 Yesterday we took a walk on the Clear Creek Trail. We started at the That Road entrance and walked the half mile to where it meets the Bloomington Rail Trail. Along the way, there were a lot of lovely flowers. And poison ivy. Lovely farms can be seen through the trees. 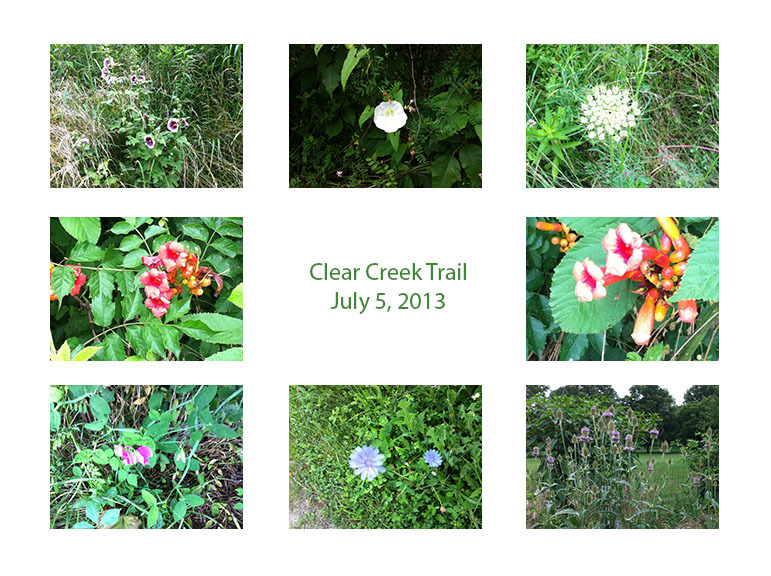 It was a perfect day for a walk along part of the trail. One day the boys will last longer and we can walk the whole trail. The view they were looking at. Lovely farms along there. A view from the bridge over the creek.